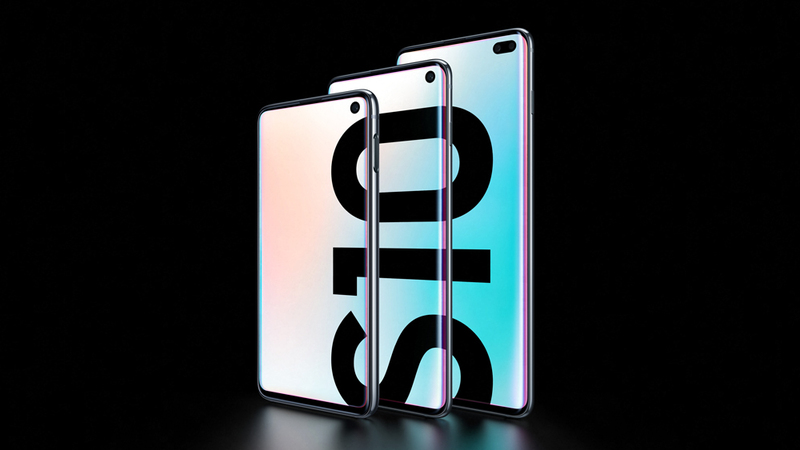 Galaxy S10 is made with Samsung’s best screen yet, the world’s first Dynamic AMOLED display. As the first HDR10+-certified smartphone, the display delivers vivid digital content, and with dynamic tone mapping, you’ll see a wider range of color for a brilliant, realistic picture. Galaxy S10’s Dynamic AMOLED display is also VDE-certified for vibrant bright colors1 and extraordinary contrast ratio for even deeper blacks and brighter whites2. Verified by DisplayMate, you’ll also enjoy exceptionally accurate colors on your mobile device3– even in harsh sunlight. What’s more, the Dynamic AMOLED display also reduces blue light through its TÜV Rheinland-certified Eye Comfort display4 without compromising picture quality or adding a filter. Super Steady & High-Quality Video Recording: Galaxy S10 offers Super Steady recording with digital stabilization technology. Whether you’re dancing in the middle of an amazing concert or trying to record every detail of a bumpy bike ride, Super Steady allows you to capture the moment. Both front and rear cameras can shoot in up to UHD quality, and in an industry first, the rear camera gives you the flexibility to record in HDR10+6. Wireless PowerShare7: Samsung introduces Wireless PowerShare on Galaxy S10, making it possible to easily charge Qi-certified smartphones and even compatible wearable devices. In addition, Galaxy S10 is capable of charging itself and a second device simultaneously via Wireless PowerShare8, while connected to a regular charger, enabling you to leave your second charger at home while on a trip. Bixby Routines: On Galaxy S10, Bixby automates your routines and provides personalized recommendations to make your life easier. With pre-set and personalized routines, such as Driving and Before Bed routines, which are customized based on your habits, Galaxy S10 makes things simpler by automatically reducing device touches and cutting steps out of your day9. The Galaxy S10 line offers everything you have come to expect from the Galaxy S series and more—including Fast Wireless Charging 2.0, IP68 water and dust resistance10, a next-generation processor and Samsung services like Bixby, Samsung Health, Samsung Pay and Samsung DeX. You will get the largest storage capacity available on a Galaxy device – the S10+ even comes with 1TB of built-in storage11 – and the ability to add an additional 512GB microSD card for up to 1.5TB12. Galaxy S10, Galaxy S10+ and Galaxy S10e will be available in Prism White, Prism Black, Prism Green, Prism Blue, Canary Yellow and Flamingo Pink16. Galaxy S10+ will also be available in two, all-new, premium Ceramic models: Ceramic Black and Ceramic White17. For more information about Galaxy S10, visit news.samsung.com/galaxy, www.samsungmobilepress.com, or www.samsung.com/galaxy. 4 TÜV Rheinland, a globally recognized certification institute, awarded Galaxy S10, S10+, and S10e’s display the Eye Comfort Certification based on its ability to drastically reduce the harmful effects of blue light. This certification can be found on www.tuv.com with the ID 1419064785. 10 Water resistant in up to 1.5 meters of water for up to 30 minutes. Rinse residue/dry after wet. Not advised for beach or pool use. 16 Model and color availability may vary depending on country or carrier. 18 Typical value tested under third-party lab condition. Rated (minimum) capacity is less. Actual battery life may vary depending on network environment, usage patterns and other factors. For more information, please visit www.samsung.com. 19 Wireless PowerShare limited to Samsung or other compatible smartphones with WPC Qi wireless charging, such as Galaxy S9, S9+, S8, S8+, S8 Active, S7, S7 edge, S7 Active, S6, S6 edge, S6 Active, S6 edge+, Note9, Note8, Note FE, Note5, and Samsung wearable devices including Galaxy Watch Active, Gear Sport, Gear S3, Galaxy Watch (46/42mm), and Galaxy Buds. May not work with non-Samsung accessories or covers. May affect call reception or data services, depending on your network environment.